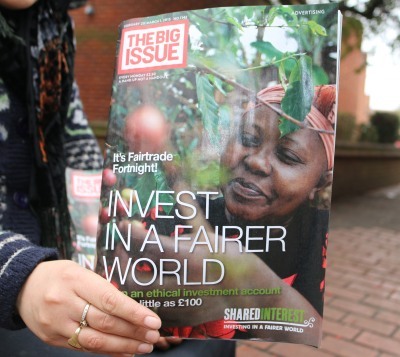 The cover of the Big Issue reminded us it is Fairtrade Fortnight - promoting products sourced in a way that’s better for the farmers, growers and workers involved. 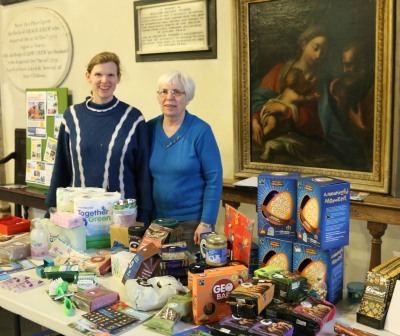 At St Helens Church there were Fairtrade products on sale, as well as a Big Brew. 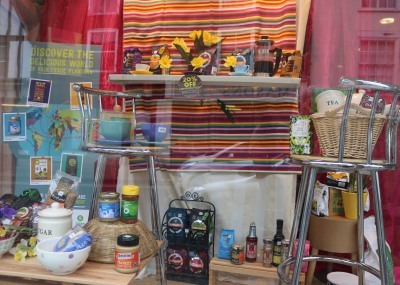 Oxfam have 20% off Fairtrade products during Fairtrade fortnight from 23rd February to 8th March. 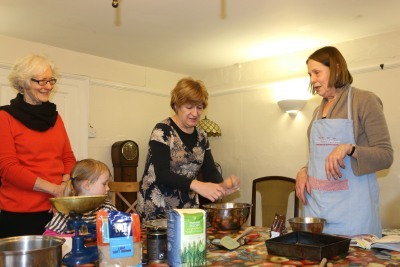 Oxfam also had a stall at St Ethelwolds where people could have afternoon tea, and take part in a baking demo with mostly Fairtrade ingredients. Abingdon is a Fairtrade town. 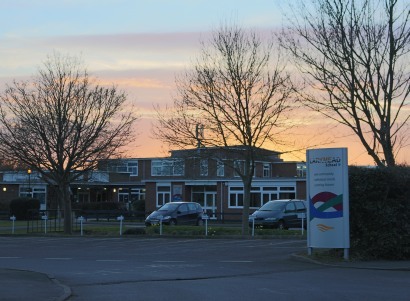 Larkmead School recently had an inspection by Ofsted, and the news is that their rating is “Good” in all areas. Under the new Ofsted framework, this is the first time that Larkmead has achieved “Good”. 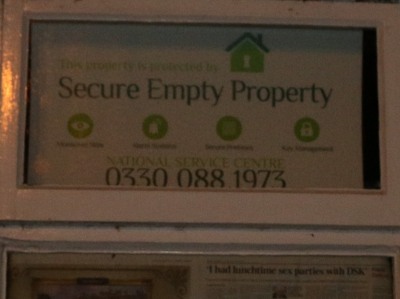 Thanks to Iain and Marilyn for letting me know. 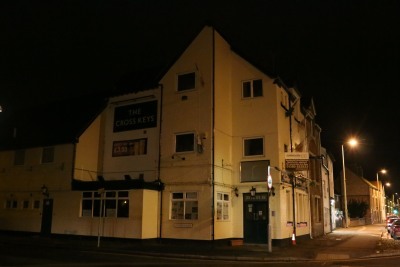 You can either pick up a leaflet from places like the Guildhall, Abbey House, and some shops, or go to tinyurl.com/AbbeyMeadow and fill in an online survey. 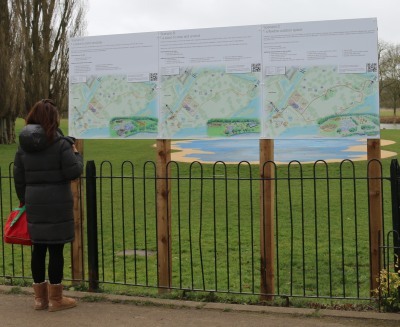 The scenarios will also be on display in the Bury Street Community Shop between March 23 and 28, for people wanting to ask questions and find out more, and are at the Abbey Meadows. 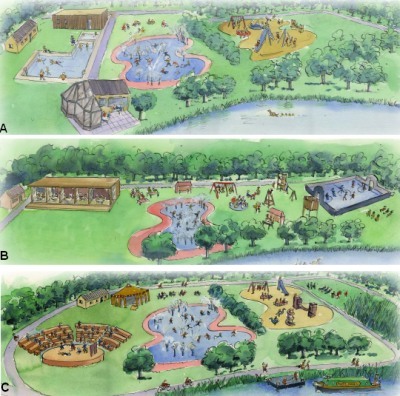 A) A Place to Swim and Play – ensures the long term future of the open Air Pool and then asks people to rate what other facilities they would like. See the survey for details. B) A Place to Relax and Unwind – replaces the pool with a cafe, and then asks people to rate what other facilities they would like. C) A flexible outdoor space – improves the public toilets, and then asks people to rate what other facilities they would like. No pool here either. The consultation runs to 7 April 2015, and the result will be known after the elections in the Summer. The Abbey Meadows are already the most visited park in the Vale of White Horse District. 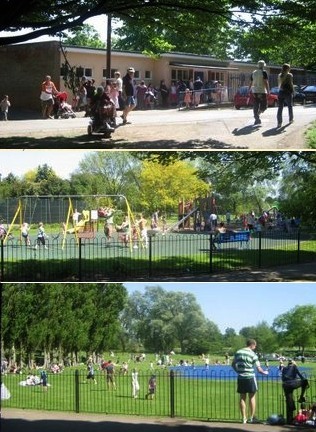 I first wrote a blog post called hot hot hot day about the Abbey Meadows in 2006. It was intended to be in the style of Dr Seuss. 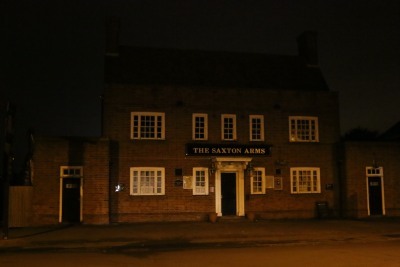 and the Saxton Arms in Abingdon, have boards in the windows to say they are closed. 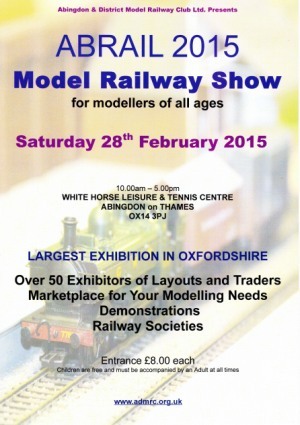 Abingdon Model Railway show hits town again on 28th February at the Tennis and Leisure Centre. 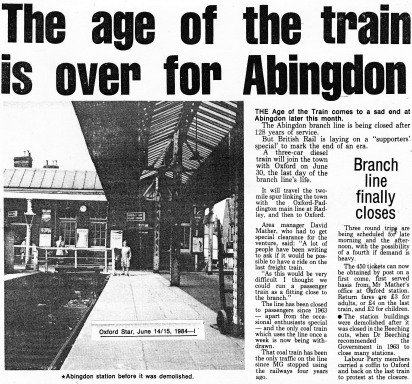 This year you can see a scale model of Abingdon Station – now a supermarket and a home for the elderly. 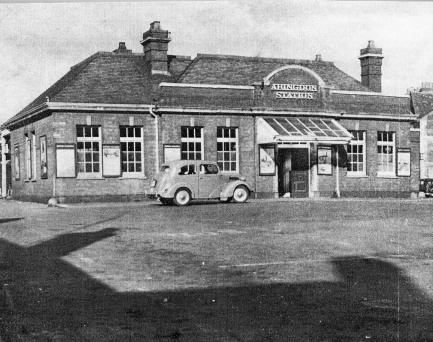 You can also see a model of Radley station (with a bit of modellers imagination added) so you could perhaps picture a ride on the bunk from Radley to Abingdon. Radley and Abingdon history clubs are there to tell you more. Thanks to Mike for the poster and Elizabeth for the pictures.